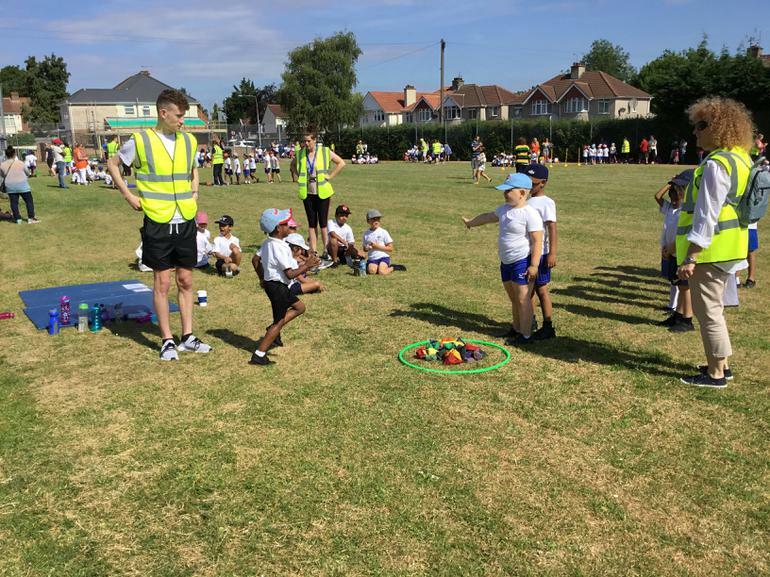 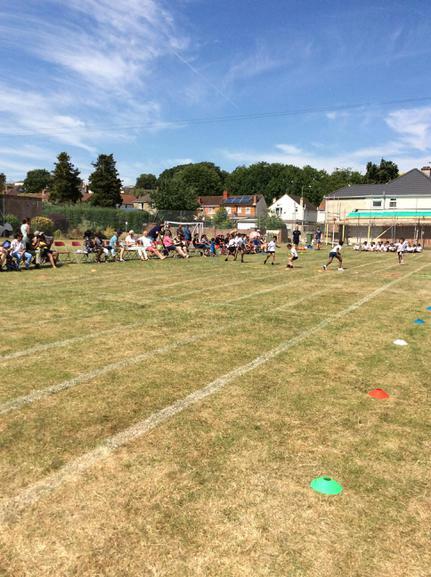 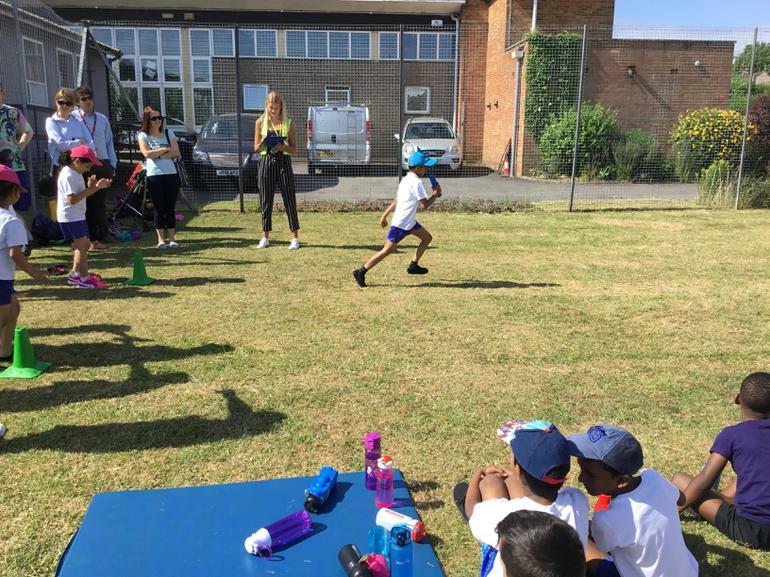 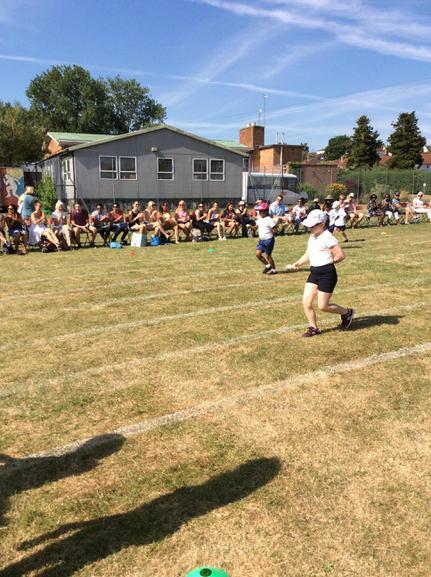 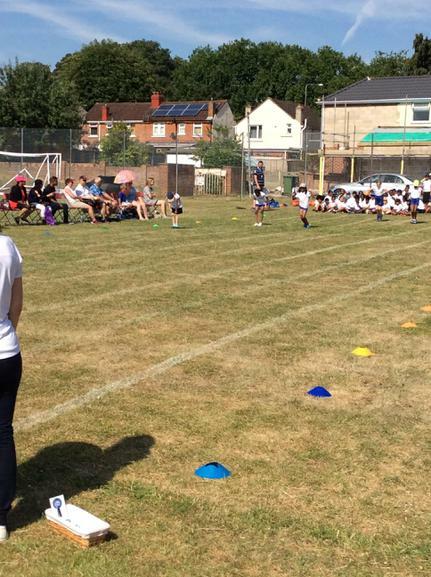 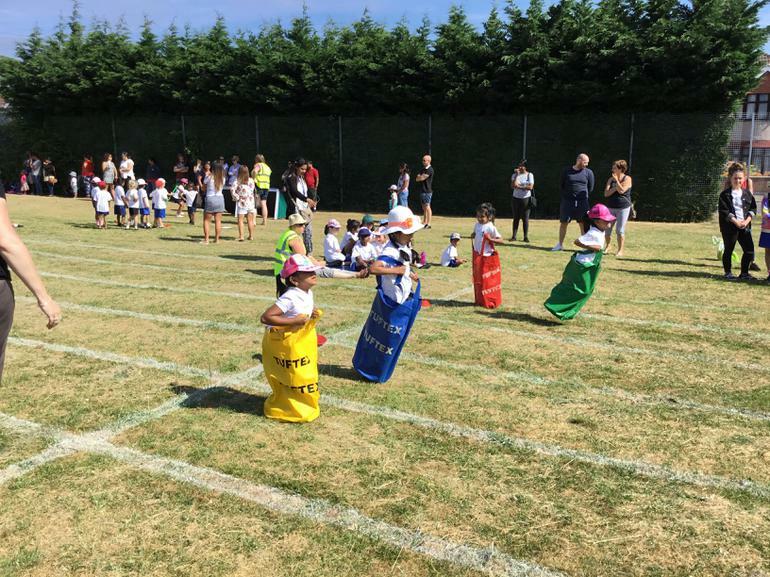 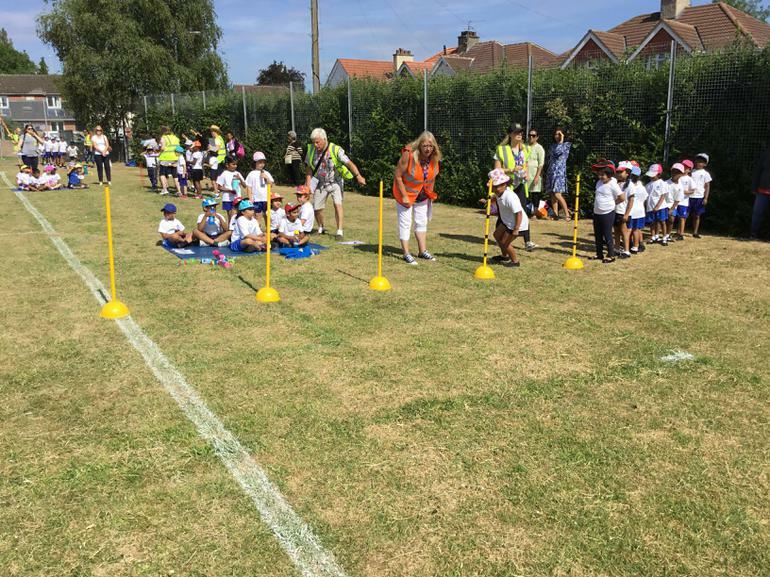 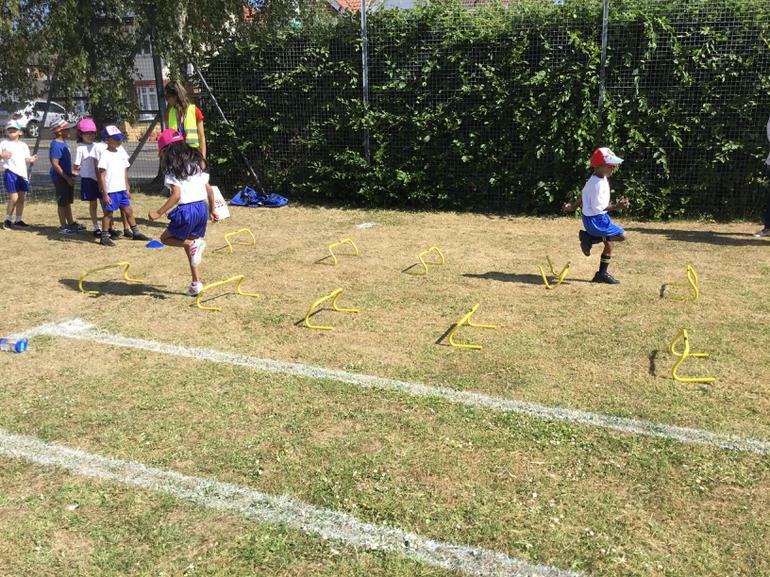 The children in Key Stage 1 and Key Stage 2 participated in our Holy Rood Sports Day on the 4th and 6th of July. 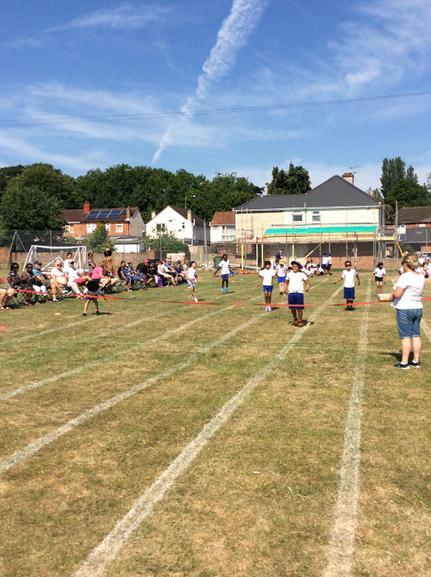 It was wonderful to have so many adults who came to show their support and even participate! 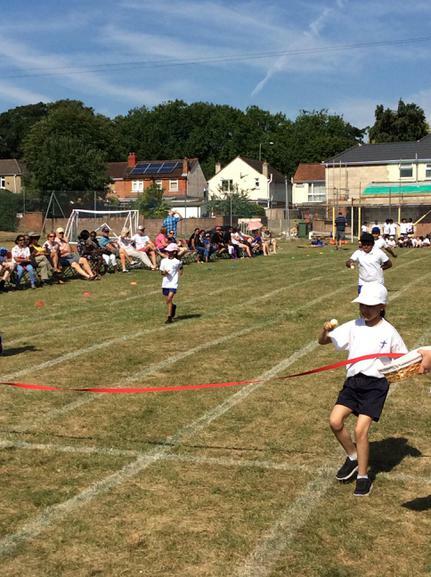 Some of the highlights can be seen below. 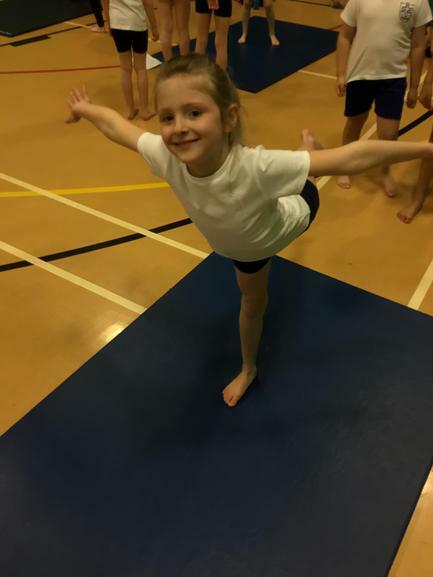 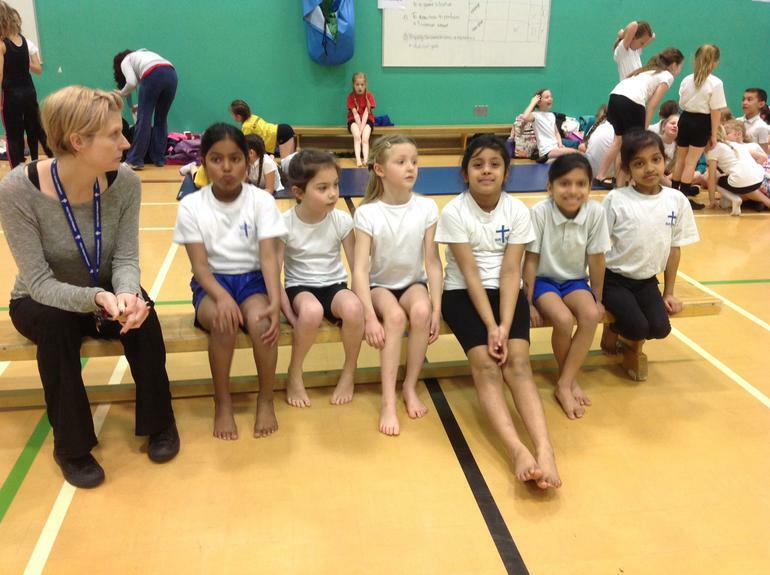 Mr Dunsdon took our squad of Year 3/4 gymnasts to a competition at Abbey Park School. 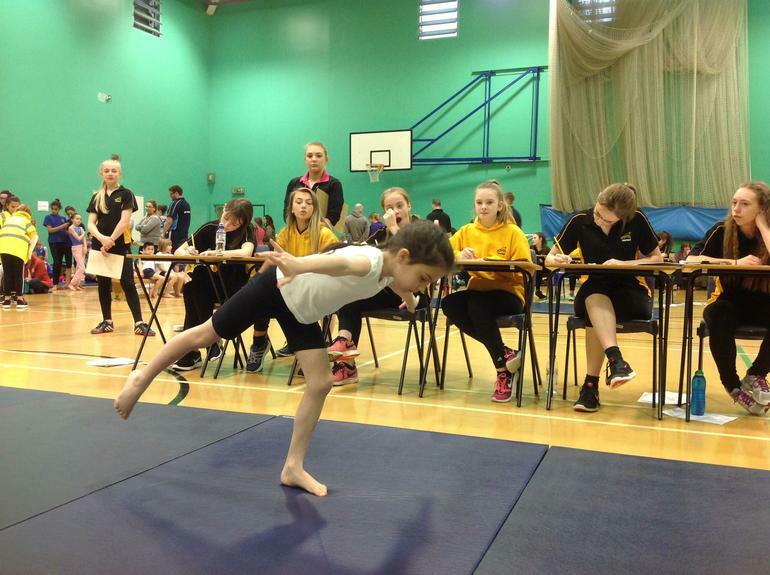 Despite the standard being extremely high, the children performed brilliantly and achieved a fantastic score. 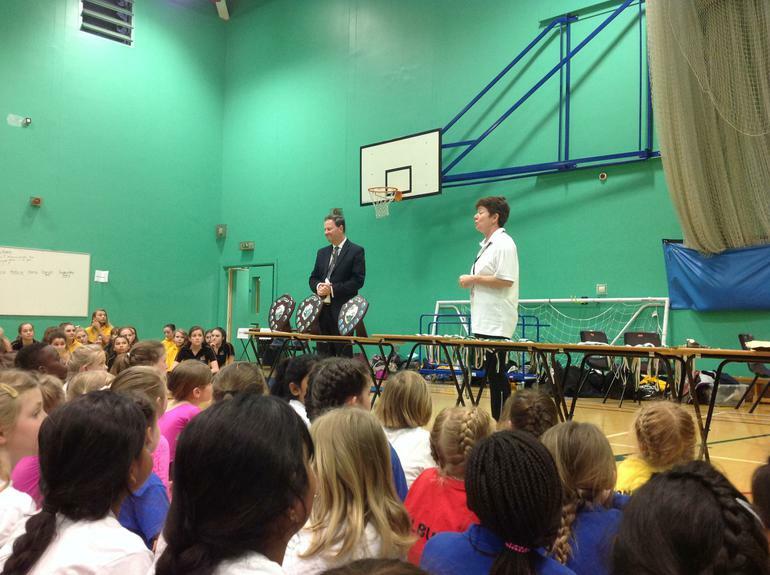 All of the children that attended enjoyed the morning and did a fantastic job of representing Holy Rood School. 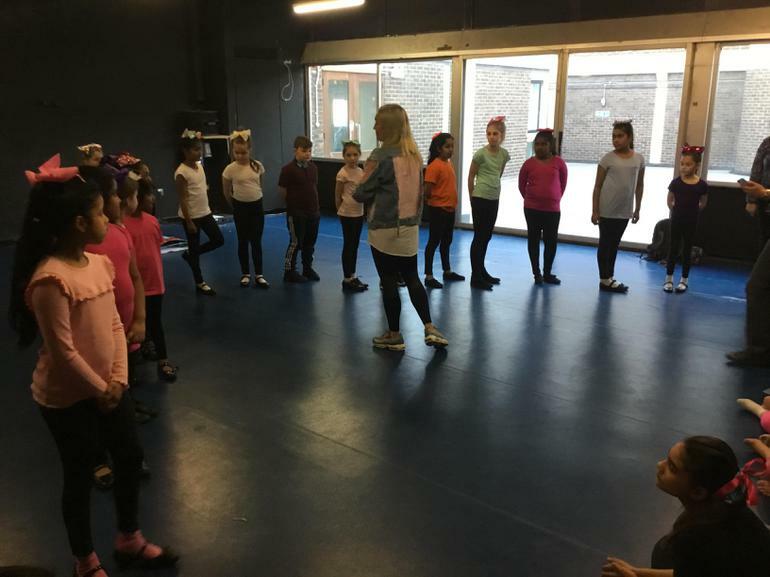 After several weeks of training, our Dance Club performed at the Wyvern on Tuesday 30th January. 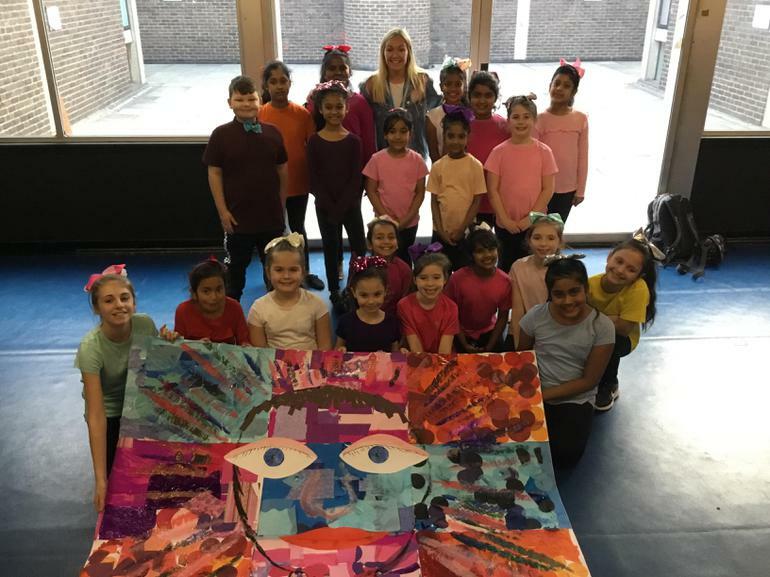 They delivered a fantastic performance linked with celebrating uniqueness which was so well received that they volunteered to perform again to the whole of Key Stage 2 during our Friday celebration assembly! 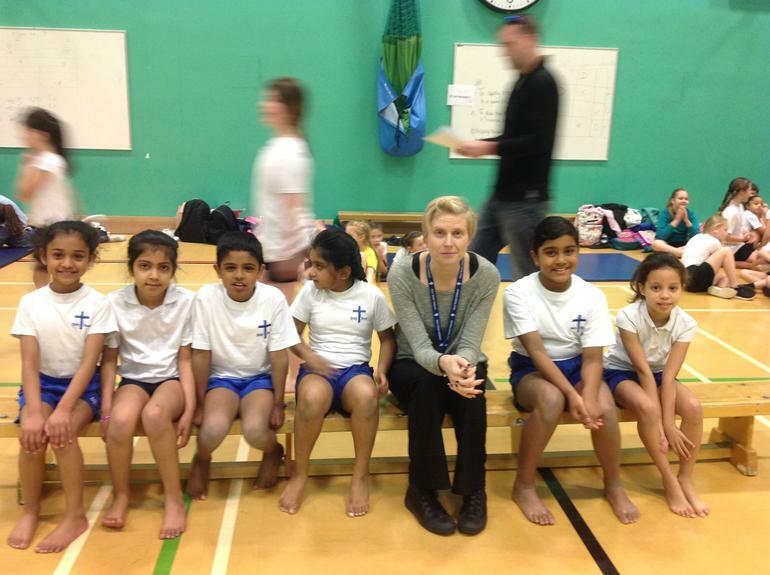 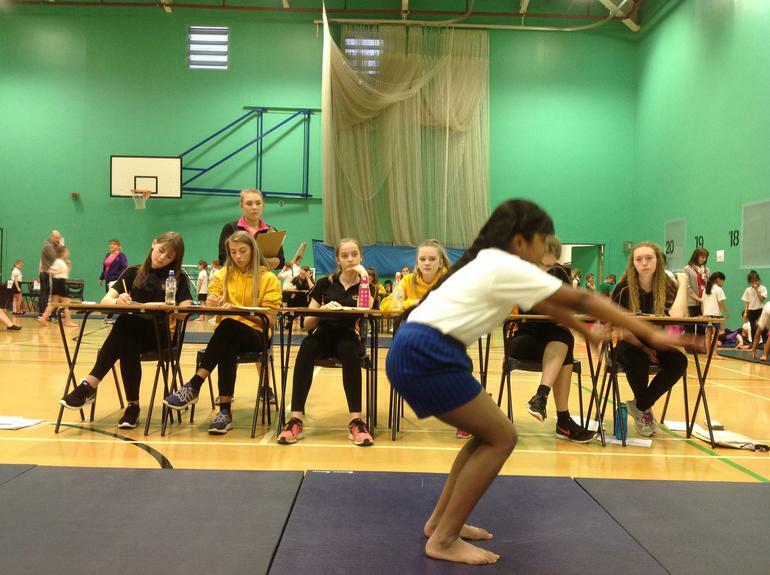 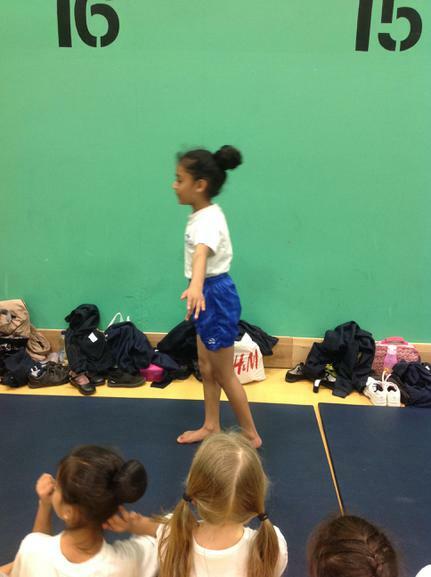 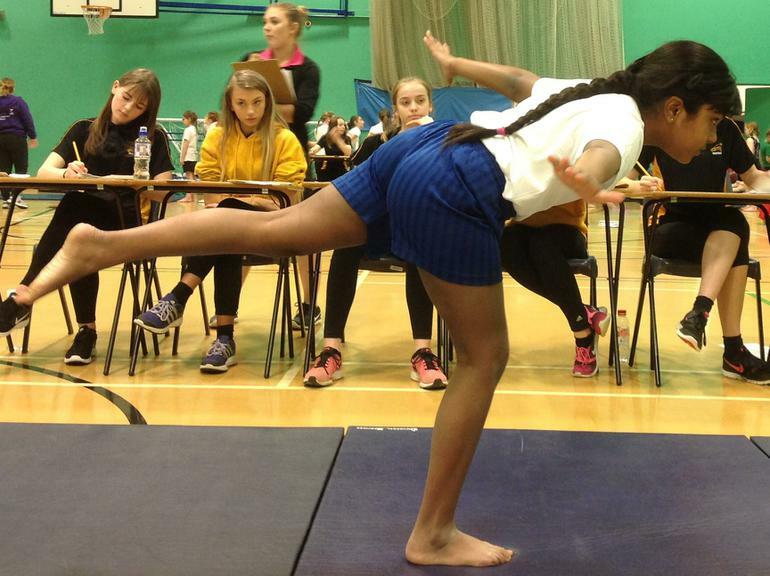 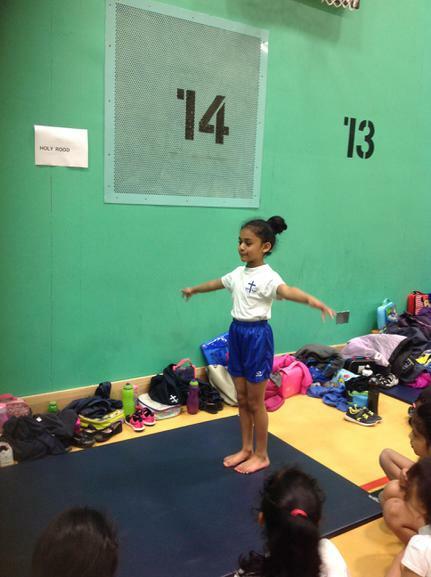 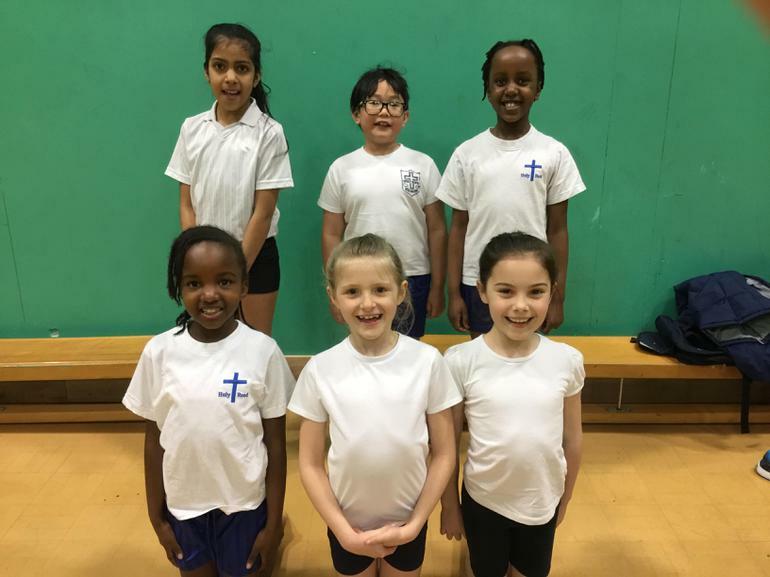 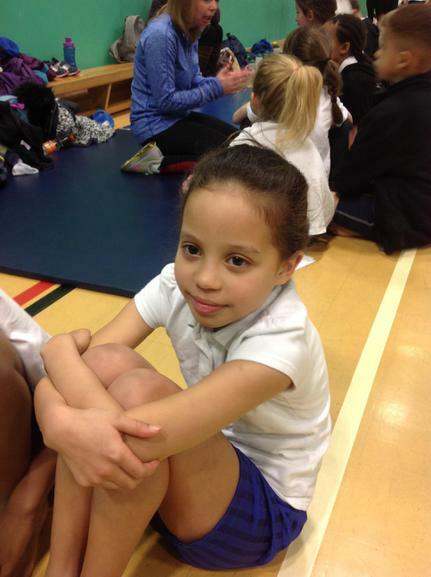 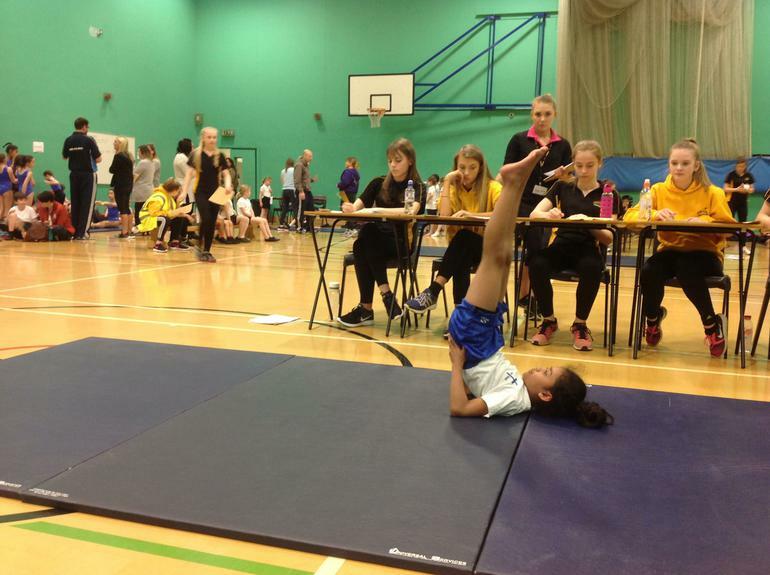 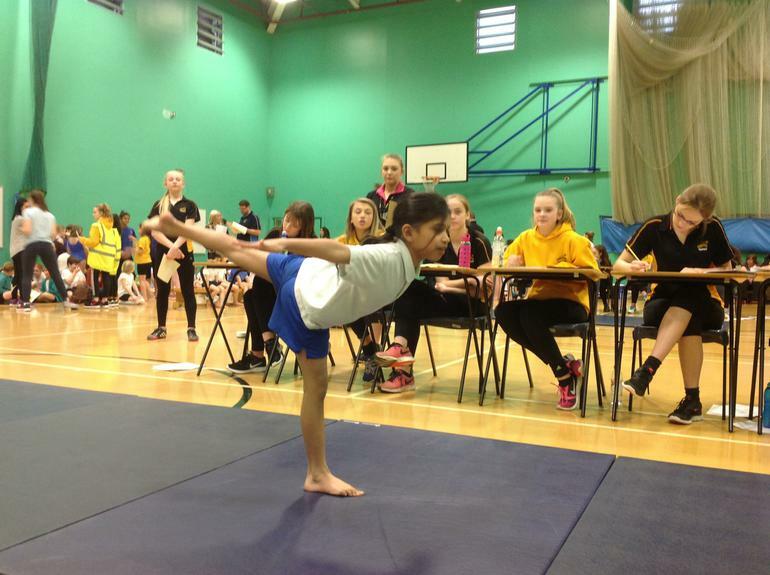 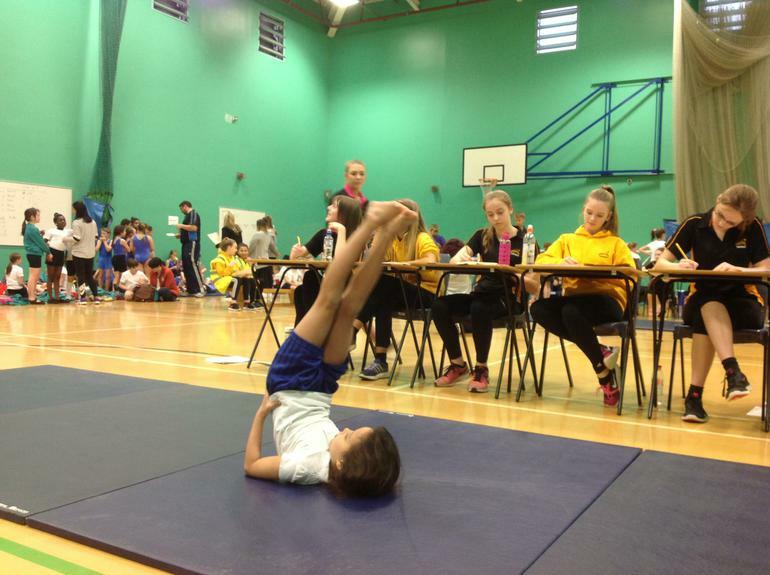 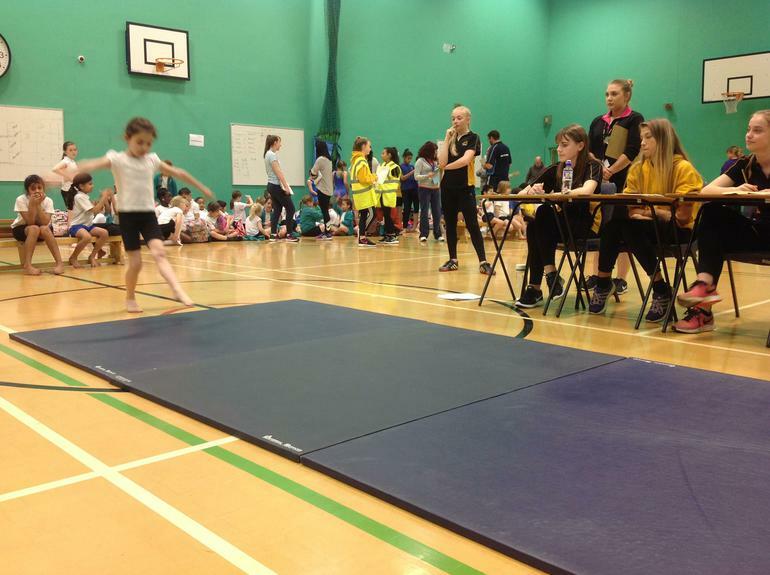 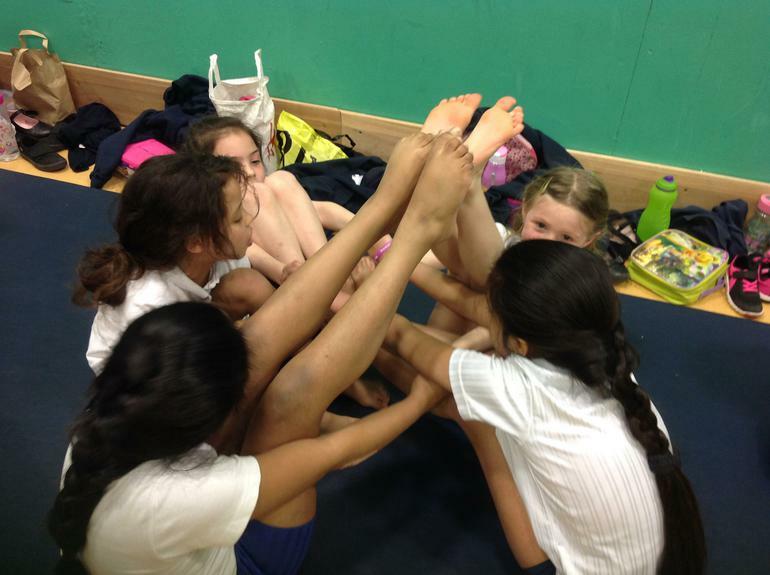 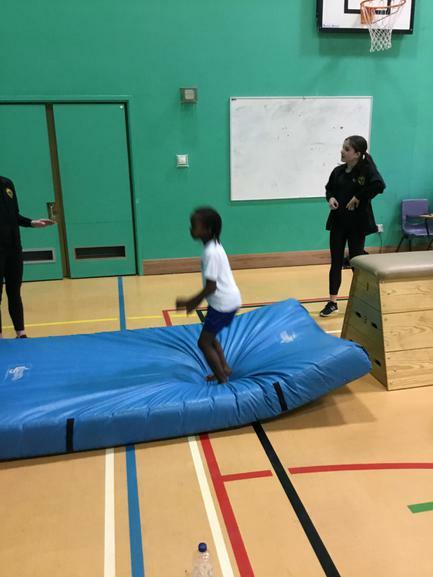 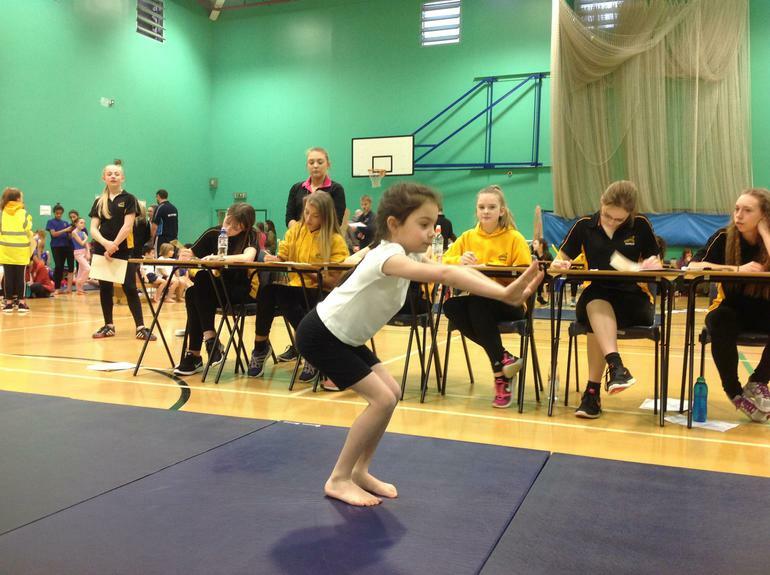 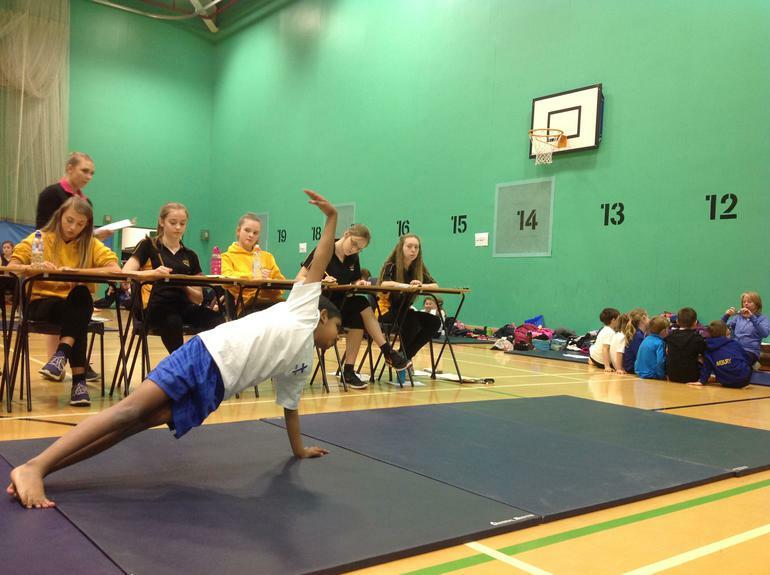 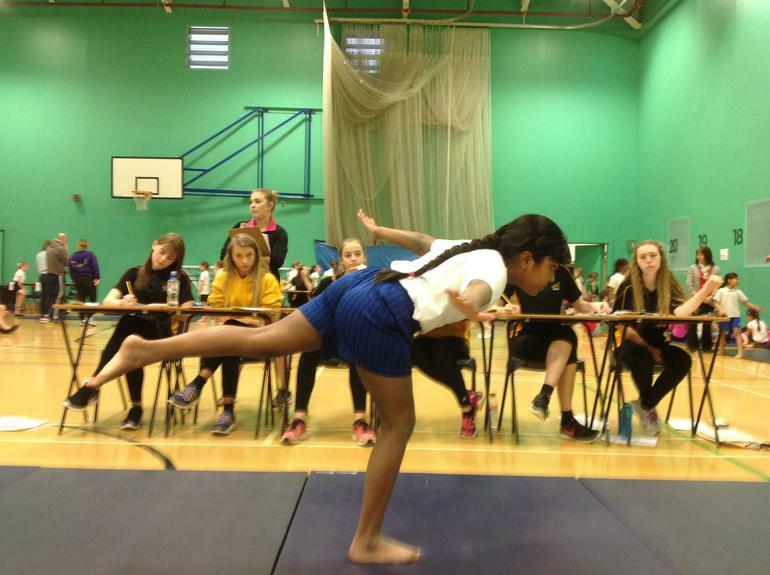 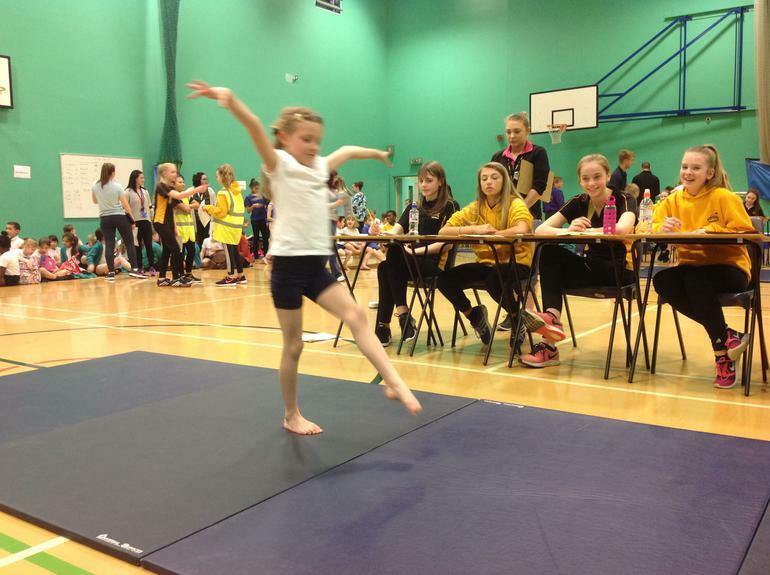 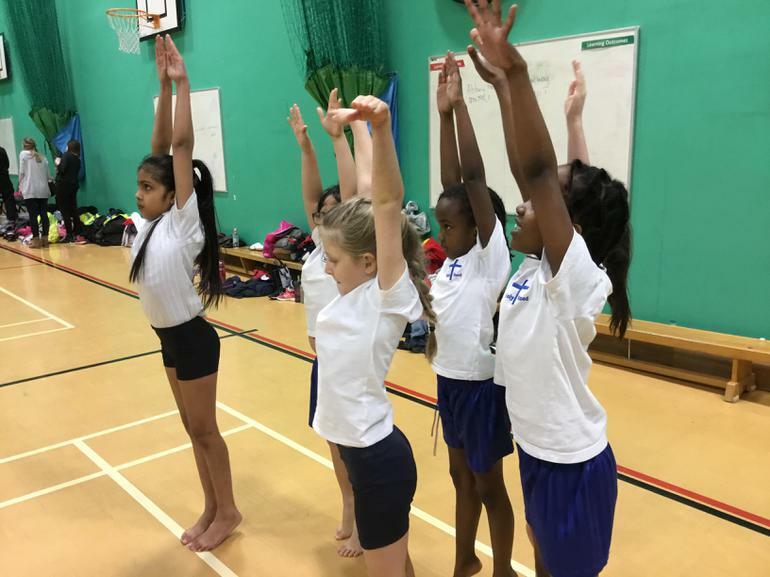 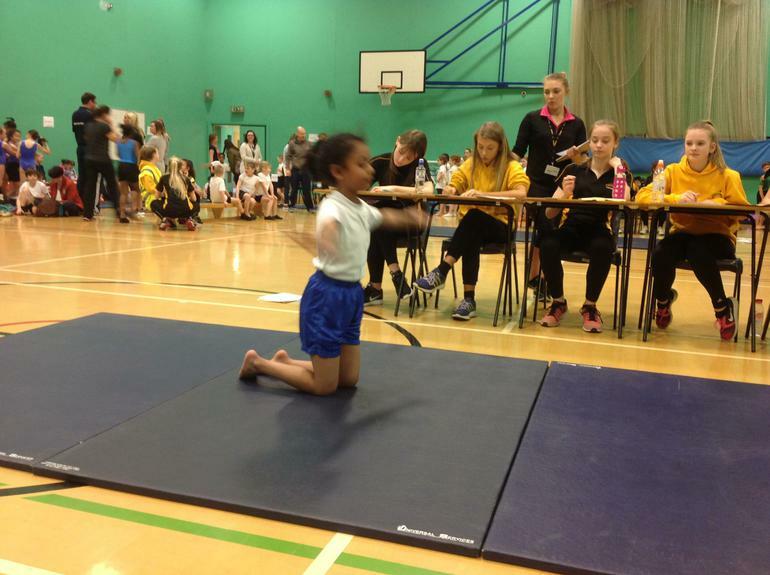 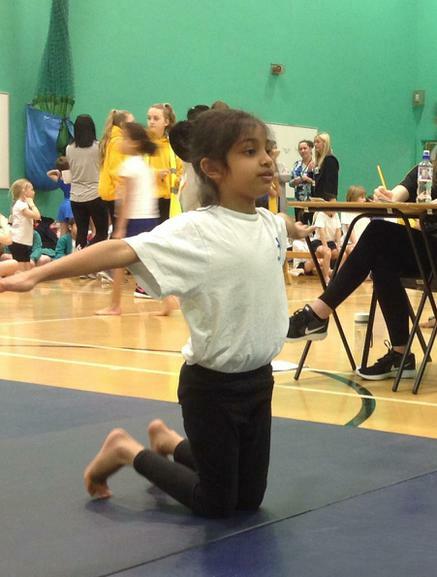 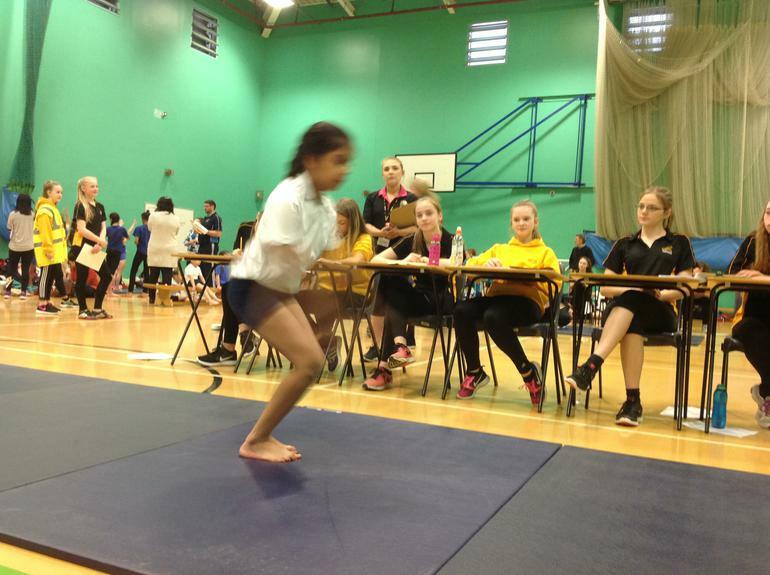 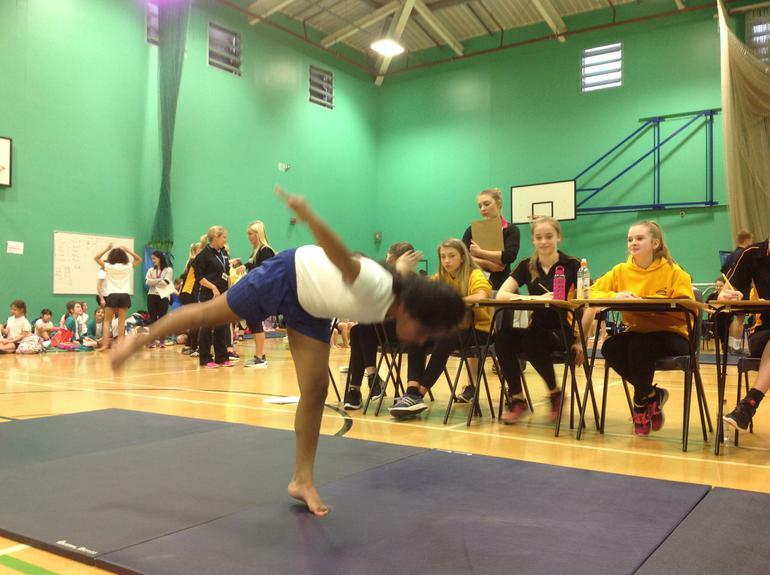 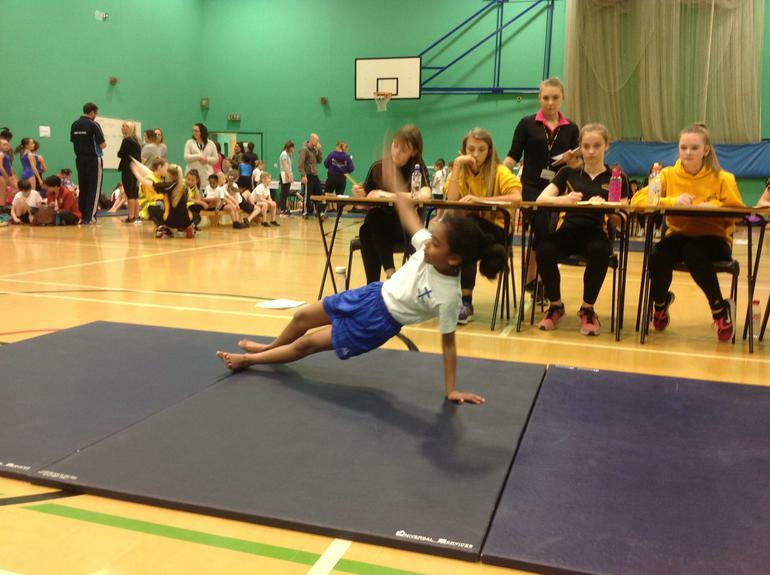 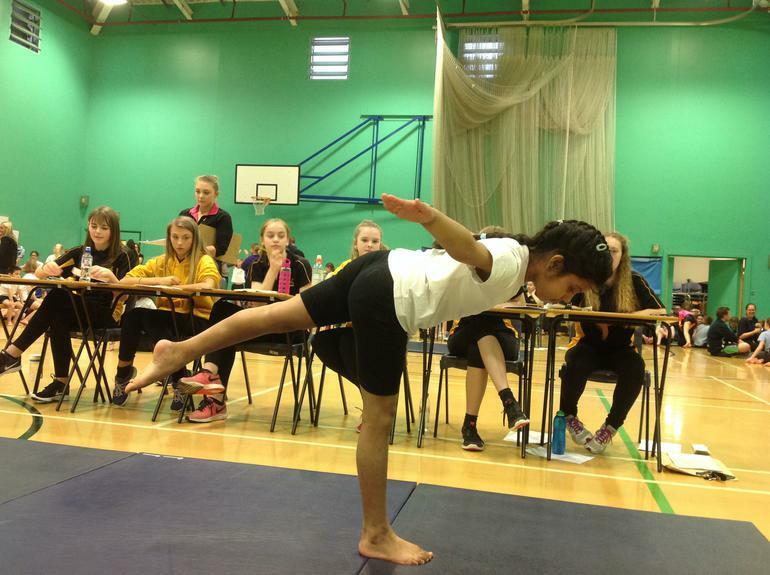 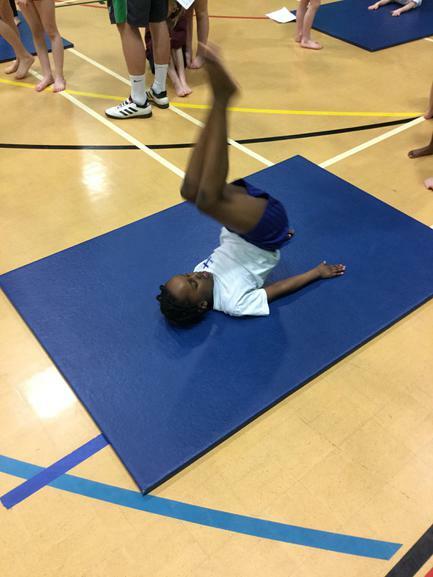 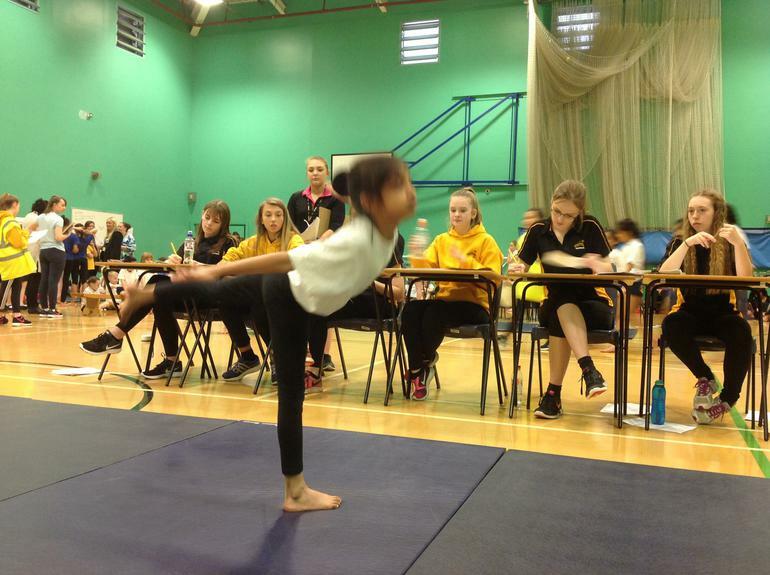 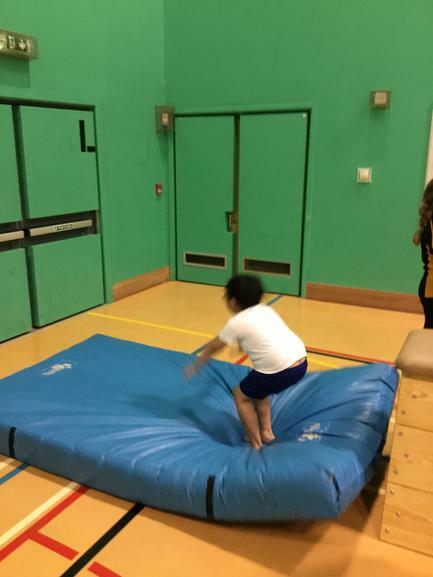 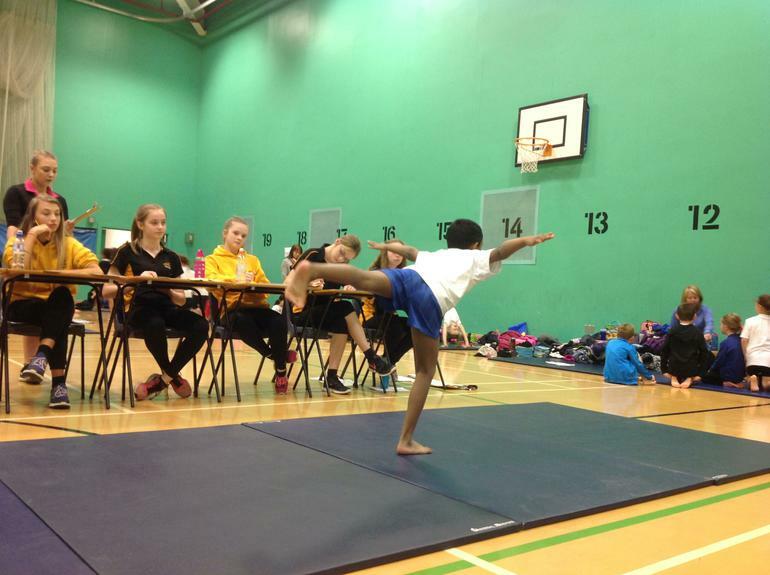 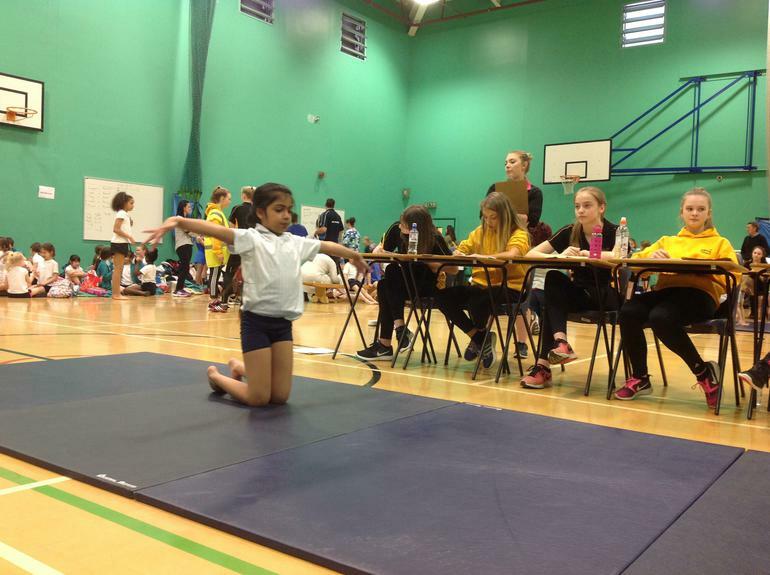 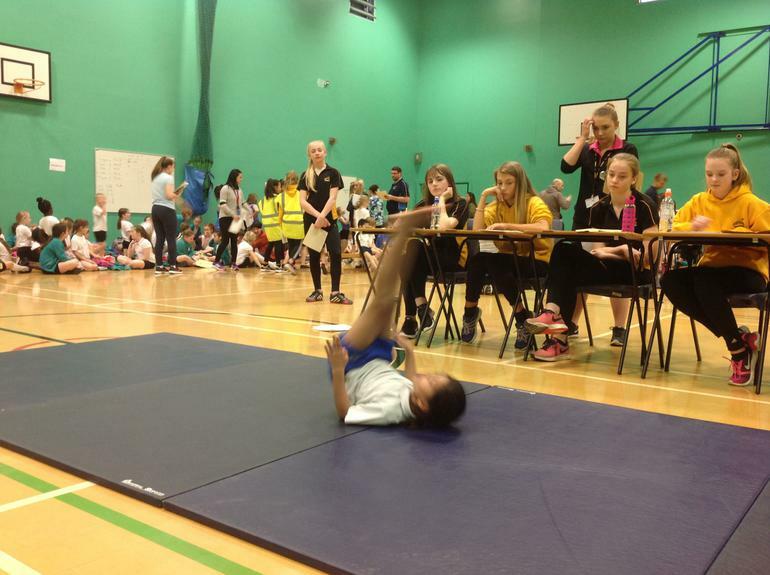 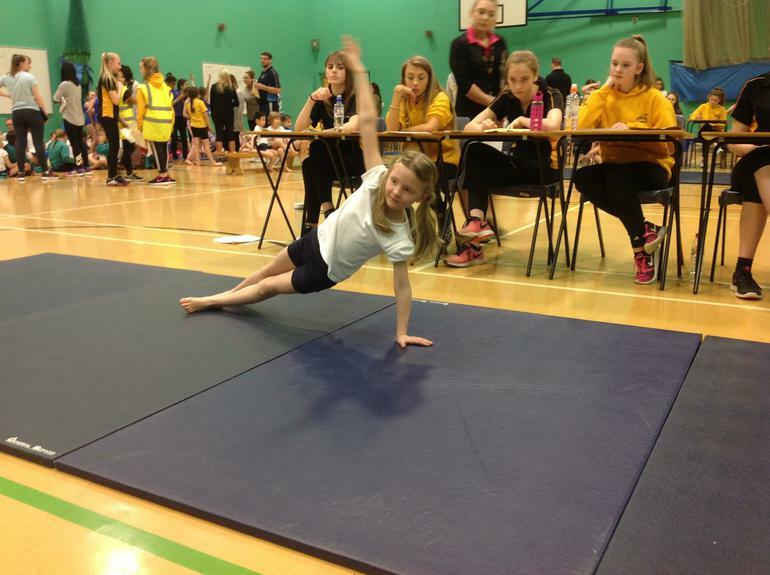 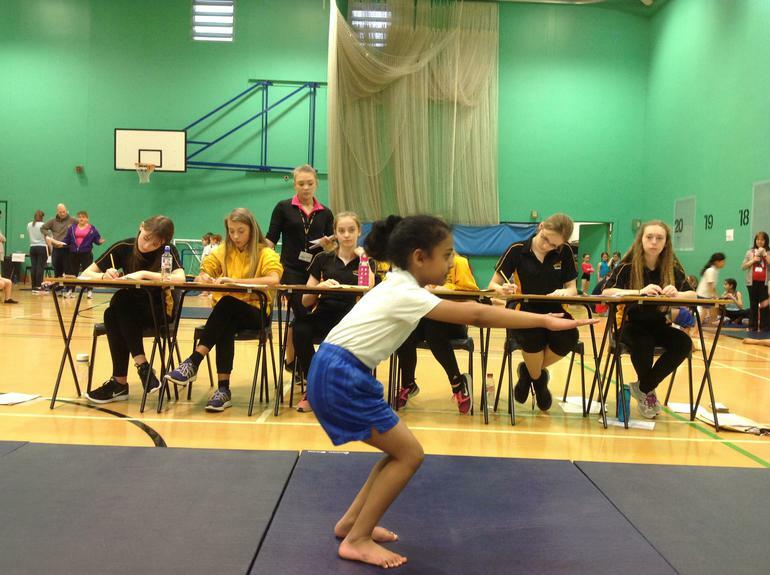 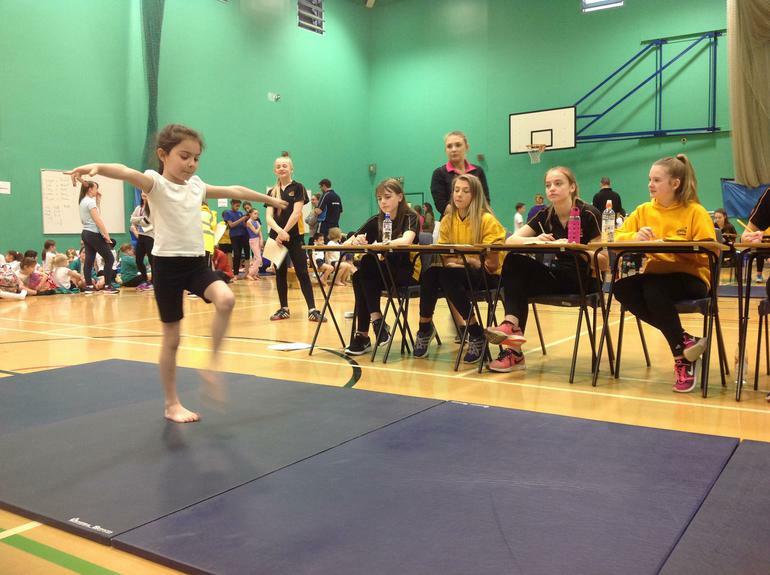 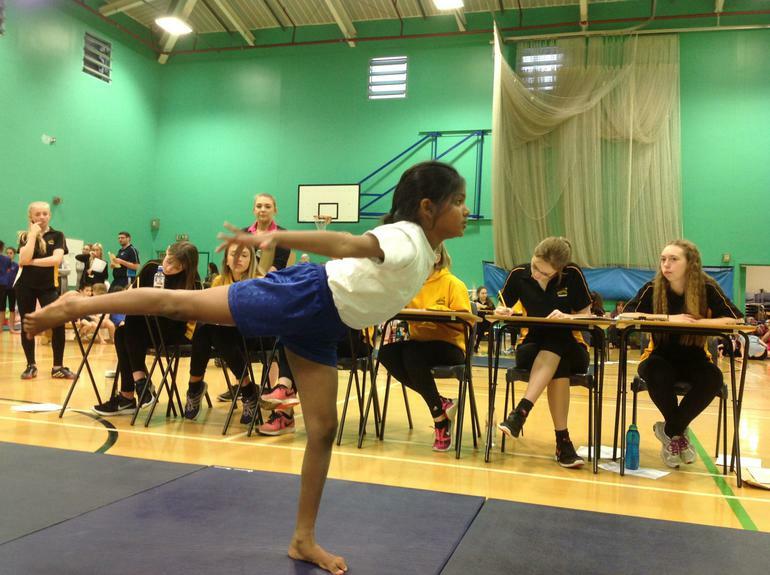 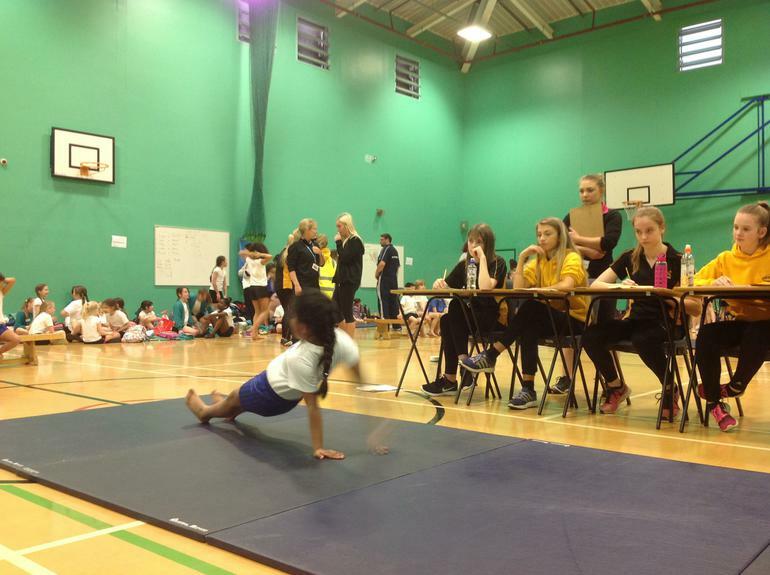 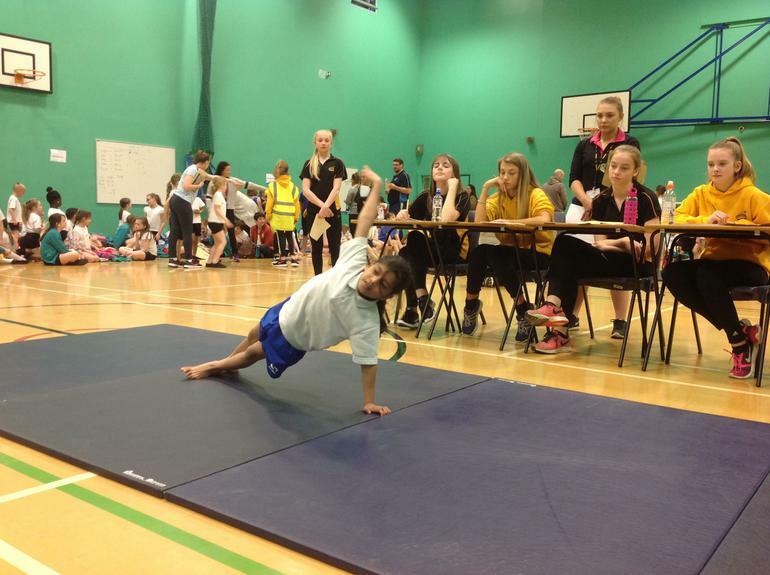 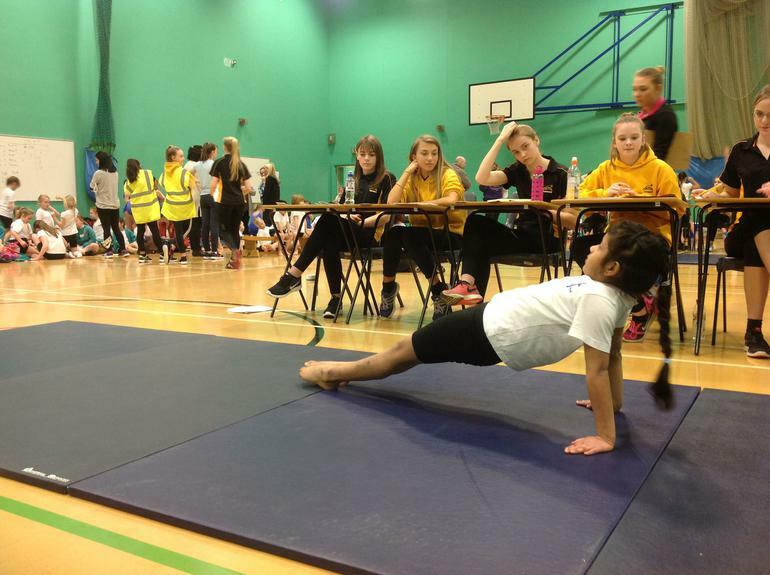 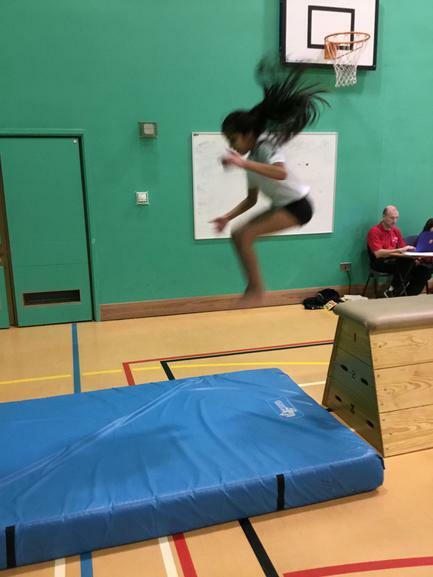 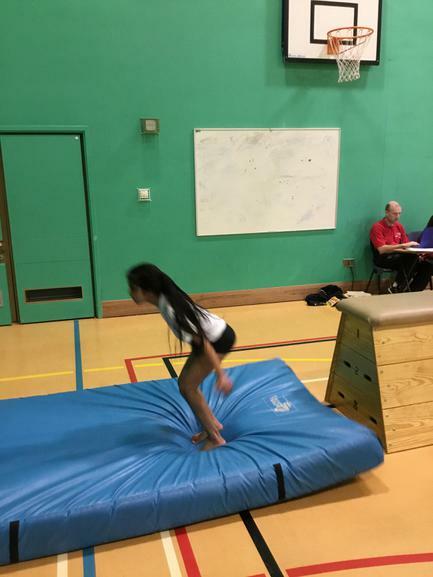 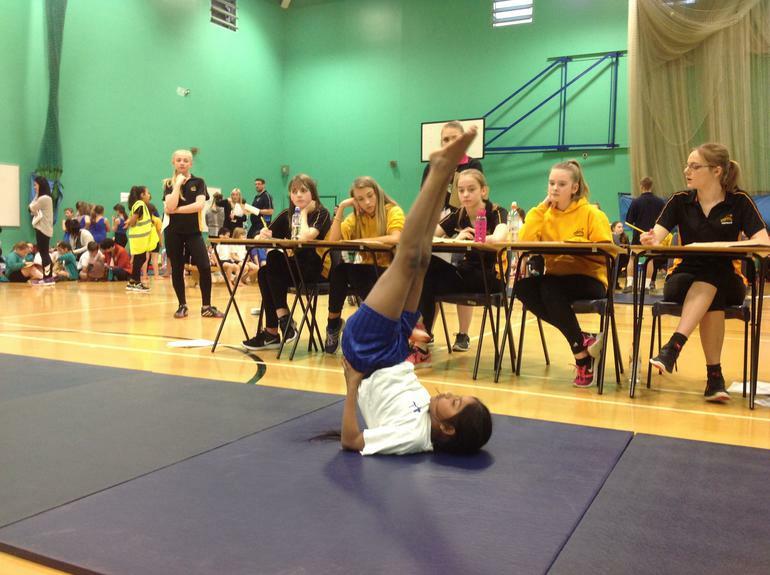 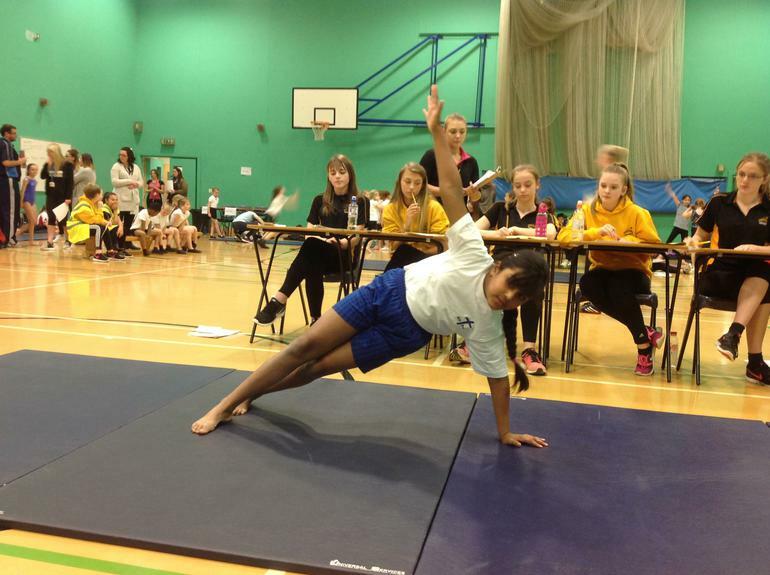 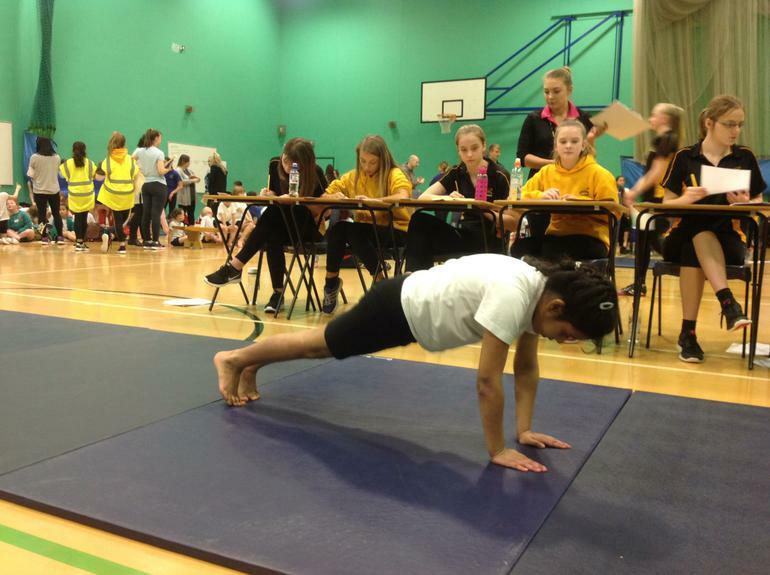 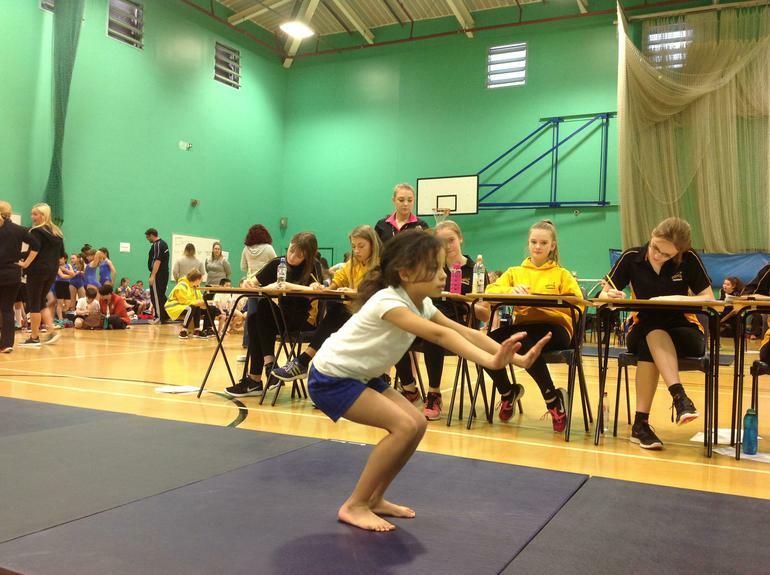 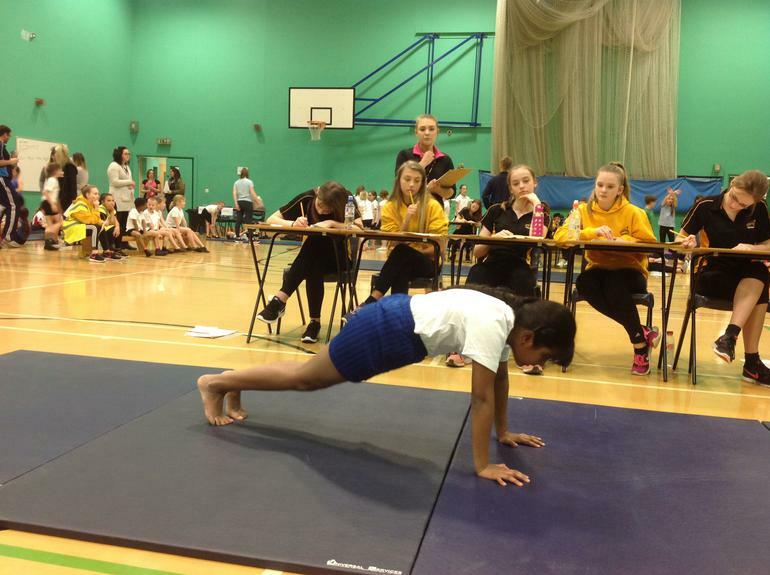 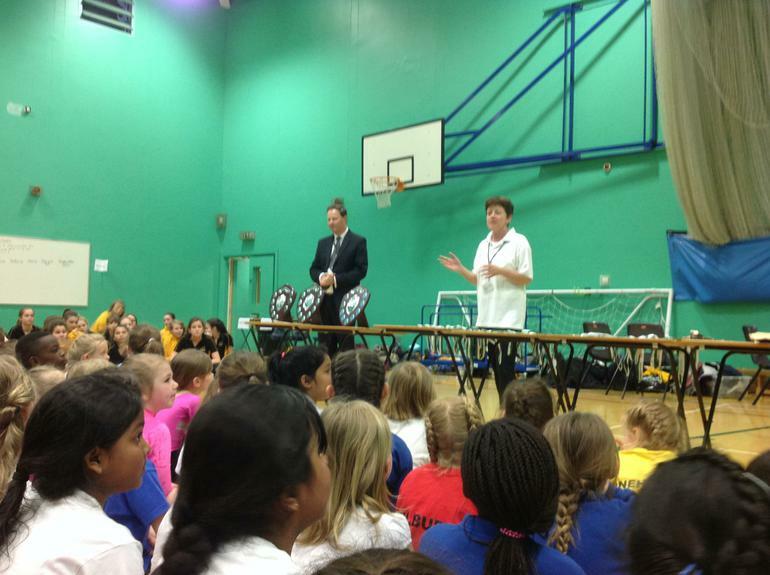 Year 3 and Year 4 children took part in the Annual Gymnastics Competition held at Isambard Community School. 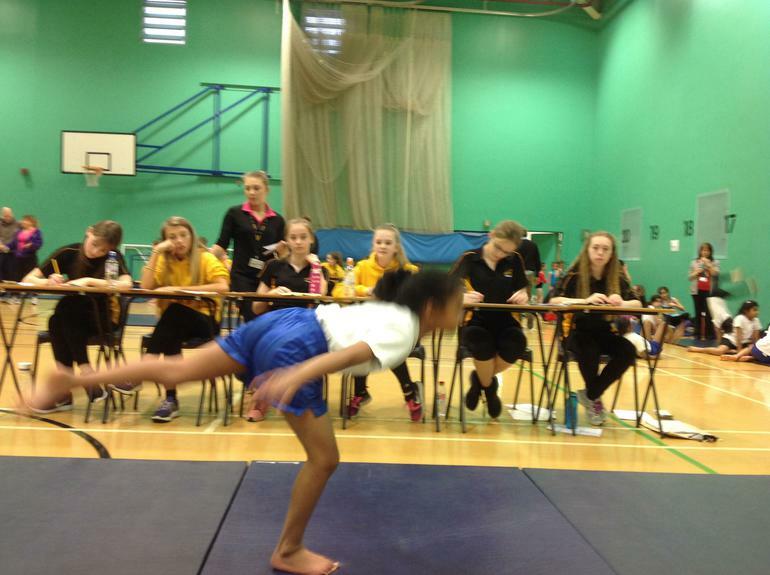 They did a wonderful job at representing our school and performing their routine to a panel of judges. 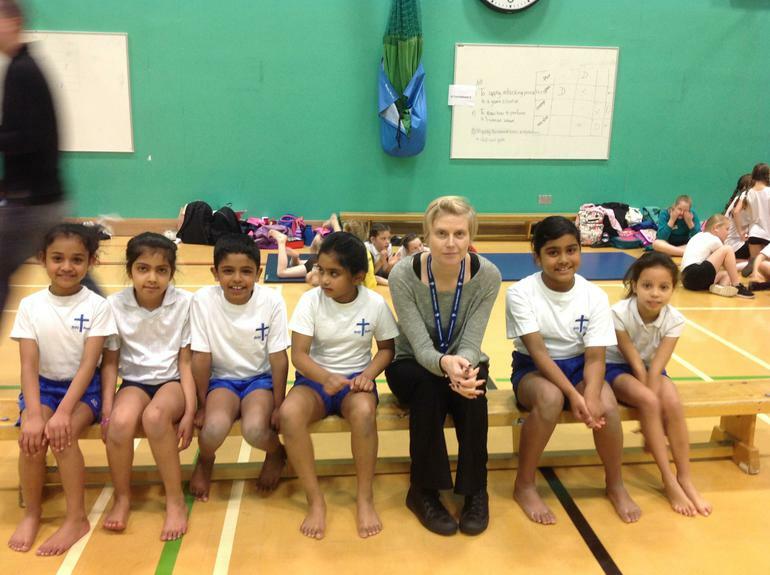 Well done for all their hard work in Gymnastics Club this term. 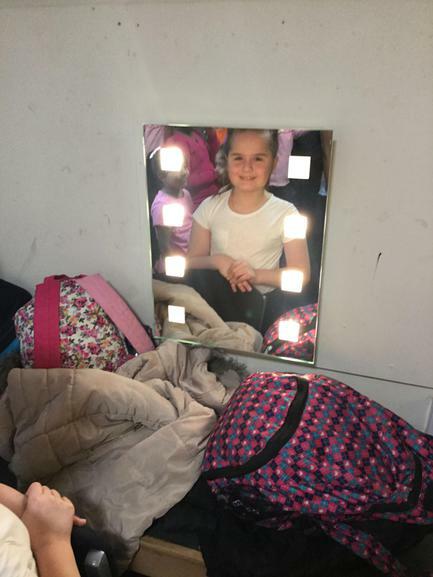 Their final performance was spectacular!" 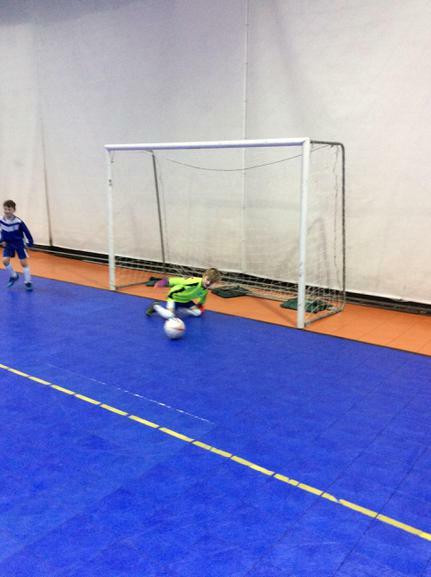 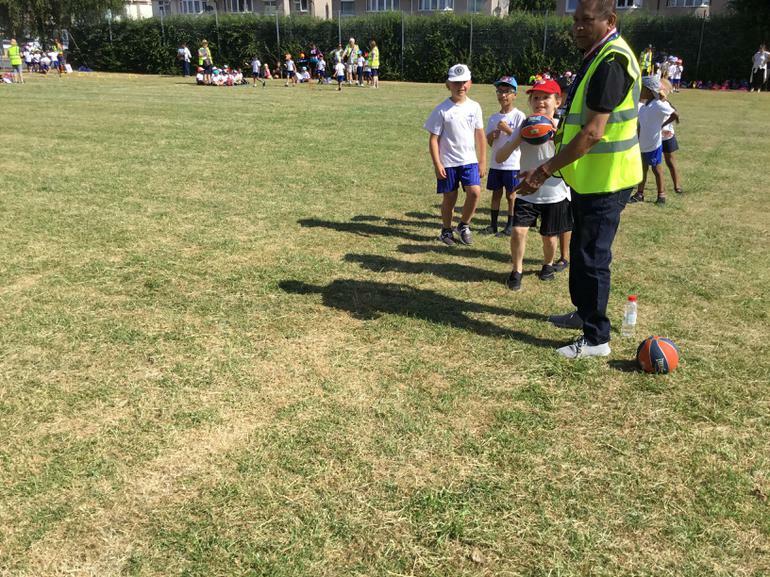 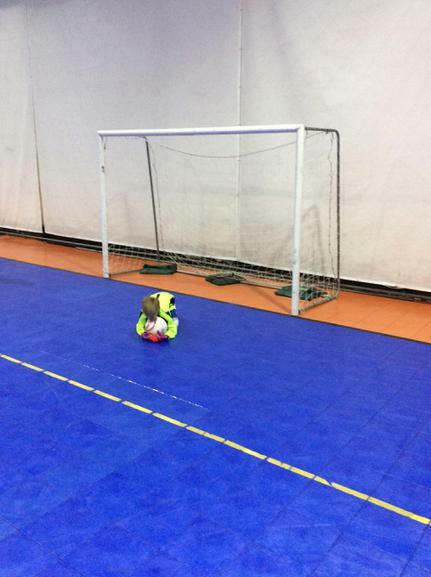 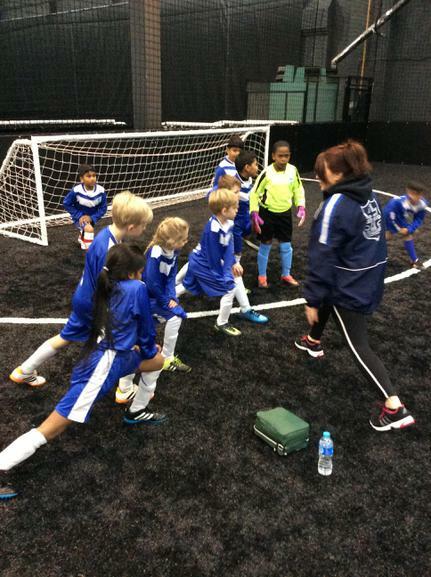 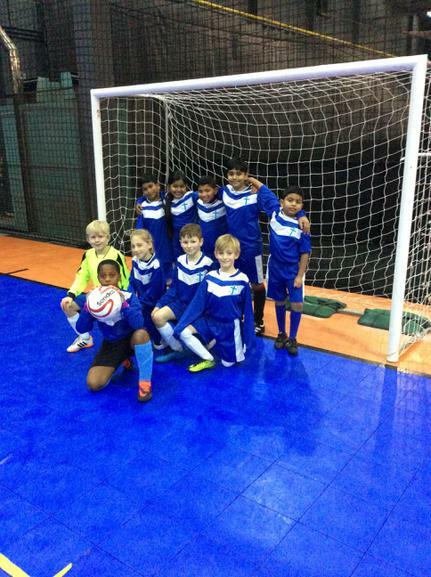 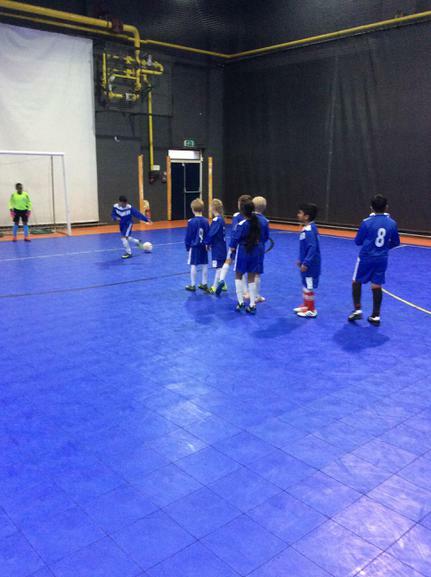 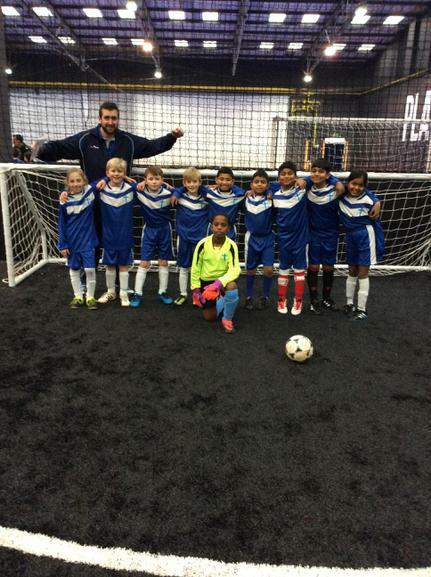 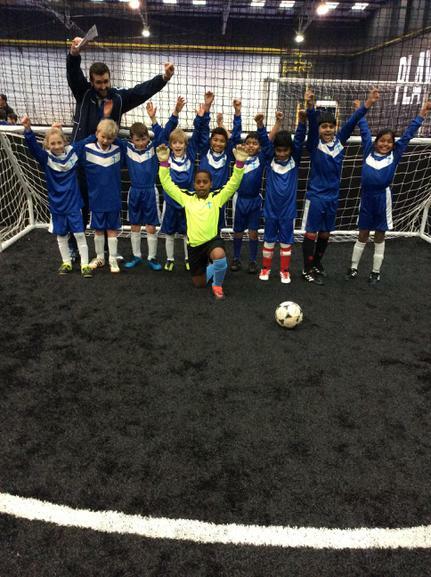 Well done to all the children who are members of the Holy Rood Football Team, they played against eight different schools at Kembrey Park in Swindon in a series of 5-a-side matches and during the afternoon managed to score a total of 25 goals!